The Agricultural Act 2014, a.k.a. 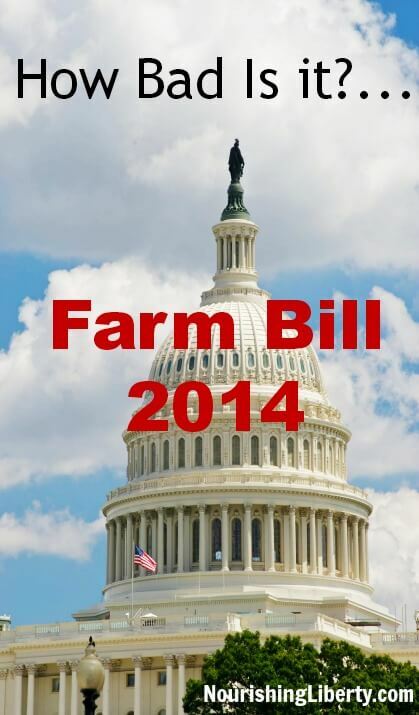 the Farm Bill, sailed through the Senate today and is expected to be signed into law in short order. 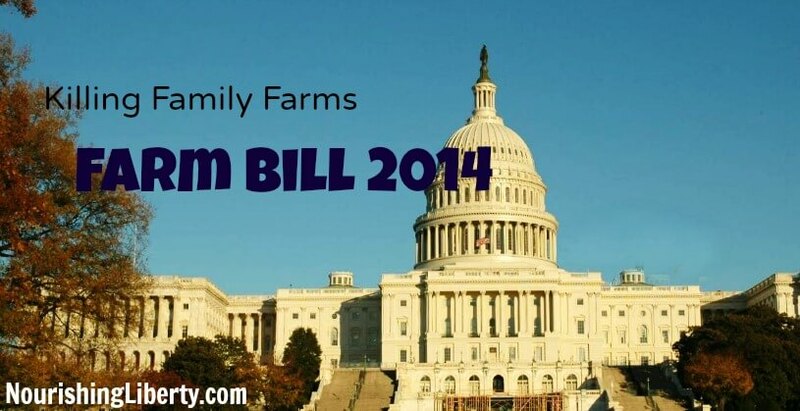 As Baylen Linnekin of Keep Food Legal says in his article: This Farm Bill Stinks. He’s right. It is an awful piece of legislation based on an inherently flawed system. What is the Farm Bill anyway? The Farm Bill is a massive piece of legislation–1,000 pages this year–that Congress works to pass about every 5 years. They’ve failed to do so. Until today. Today’s Farm Bill allocated $956 billion. Yes, Billion. All that money, and–surprise–it will not fulfill the bill’s originally stated purpose. Rather, much of the “crop insurance” and subsidies will go directly to some of the biggest farms in the country. Your Farm Bill tax dollar will even go to a few big farms that are not actually farming! Want to see how bad it is for yourself? Check out this database from the Environmental Working Group (EWG). I’ve seen talk about how the Farm Bill is cutting certain subsidies and adding to others. The bill tosses around billions of dollars, allocating a little less over here, a little more over there. What it boils down to is billions of dollars going to subsidize corporate agriculture and unsustainable farming practices. Here is an article that provides a great visual for this and numbers for those who like numbers. Here’s what is most disturbing to me. The farm bill perpetuates the myth of cheap food. It subsidizes Big Ag so that BA can sell its food to the market cheap and you find it at the grocery store for less than you’d pay for it from your local farmer (who is NOT getting subsidy money from the Farm Bill so must sell at “full price”). In reality, it costs the small local farmer about the same to produce the same food as the Big Ag farmer. But BA gets “subsidy” money–oh, sorry, we’re calling it crop insurance this year–from the federal government. There is something so deeply, fundamentally wrong with a system that dis-empowers individuals by rewarding corruption and fraud–a known entity in crop subsidies and insurance–while criminalizing the very people who are farming sustainably. Some folks are praising the Farm Bill because it will offset the costs of applying for organic certification in order to help “organic” farmers continue to seek certification. Admittedly, at about $1,000 per year, applying for organic certification is not cheap. Ironically, organic certification is simply another way for the USDA to control farmers and to own certain terms… which leads to further criminalization of farmers who are farming with an eye to the future of the planet and real food! Roughly 80% of the total funding in the farm bill goes to SNAP (food stamps). Because of how the food stamp benefits can be redeemed, very little of that money will go to support small-scale, sustainable farms. Most of it is an indirect subsidy for commodity crop processors. Another failure. The Farm Bill is not a sustainable solution to any of the challenges facing our real food family farmers or our culture. I know it feels daunting to tackle the depth of ineptitude inherent in the 1,000 page farm bill. I know it and, if you are reading this, YOU know it. I’m wondering how many of the 535 leaders in D.C. actually read it. Anyone? You and I, however, have the power to create the solution. By engaging in our own food production, creating community interdependence, understanding the farm-to-fork process, by stepping outside the “organic certification” misnomer, we are empowered to opt out of that other system entirely. We will create what we need and desire with our farmers and neighbors. Awareness is the first step. True sustainability is the goal. Great article Liz. Thanks for sharing and presenting the information to the people. I would like to say that as a substitute to “organic”, our small farm (Shady Grove Farm U.P. in Michigan’s Upper Peninsula) is Certified Naturally Grown. This is a grassroots alternative that was started by farmers for farmers. There is no government affiliation and the standards are beyond that of organic, in my opinion. 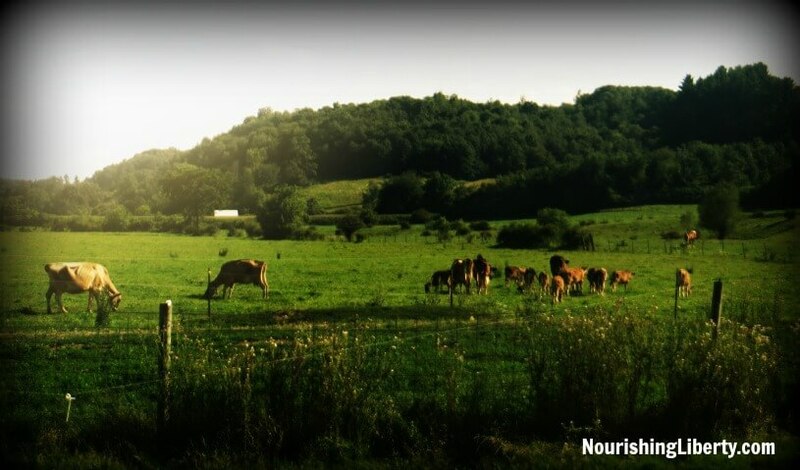 It gives the consumer assurance that the food we are producing is grown/raised with integrity and transparency. And, it only costs about $125 a year! Thanks Randy! You are right. It is refreshing to see the grassroots response to government policy that does not work. Certified Naturally Grown is a wonderful alternative to organic certification and CNG has the integrity that “organic” labeling has lost! Thank you for bringing that to the attention of readers. Do share more about your grassroots group.
? Is this basically the new name of the FDA Globalization Act they have been trying to push for years? It sounds like it. I just haven’t researched this one enough as no longer a small biz. Excellent article. I live in England, but I follow this subject closely. What happens in America, normally ends up happening in the UK about a decade later. I feel it’s a matter of time before the big supermarkets in my country start forcing through spurious legislation that will see the demise of small farms in my country. If I and others like me are vigilant, we can stop it from happening by educating people in advance. Thanks for your efforts in writing this article Liz. It help others more than you probably know.